Scott Belsky is the founder and CEO of Behance. It’s the worlds leading platform for creative professionals with millions of visits each month. In 2010, Fast Company named him one of the top 100 most creative people on the web. This is the first in a series of books on the implementation of creative ideas. The second book in the series is called Manage Your Day-to-Day, followed by Maximize Your Potential and coming soon, Make Your Mark. In the Ideas Economy, having great ideas is a great start. And, that’s all it is. If you can’t make your ideas happen then you’ve got fresh air. Also, having ideas is relatively easy. Turning these visions into reality is the hard work. 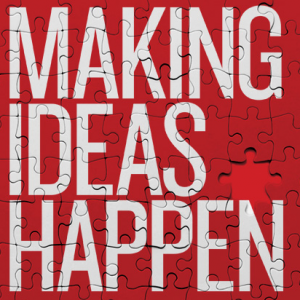 And, this book makes it easier to make your ideas happen. How good are you at coming up with ideas? How good are you at making them happen? What do you get from NOT executing on your ideas? Download the Slides – there are some visual references in the recording and you might like to download the slides in advance to follow along.